From now until Jan. 23, creatives are invited to participate in Storefront for Art and Architecture and the New Museum&apos;s "Street Architecture," a competition to design a temporary outdoor structure for IDEAS CITY 2015 that "facilitates new forms of collective gathering and engagement with the city." 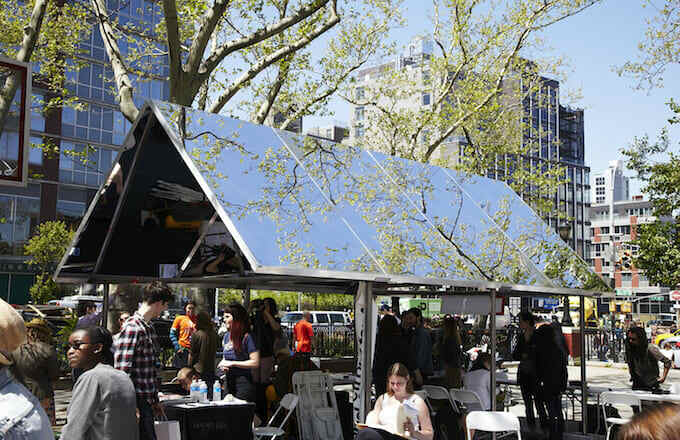 The IDEAS CITY 2015 street festival kicks off in New York City on May 28, and registration for the design competition ends on Jan. 23. Entries must qualify as "mobile architecture" and must be "suited for hosting daring feats of oratory." The winning design team will be awarded $20,000 to construct, assemble, and disassemble their creation, as well as an additional $7,500 as a "design/managing fee." Debates, live talks, games, workshops, and various other events will be held in structure, so it will play a pretty prominent role in the festival. As with any competition, there are design and submission requirements that competitors must meet, so head over to the Storefront for Art and Architecture site for specifics.